Love gladiolus flowers but looking for something new? You're in luck! 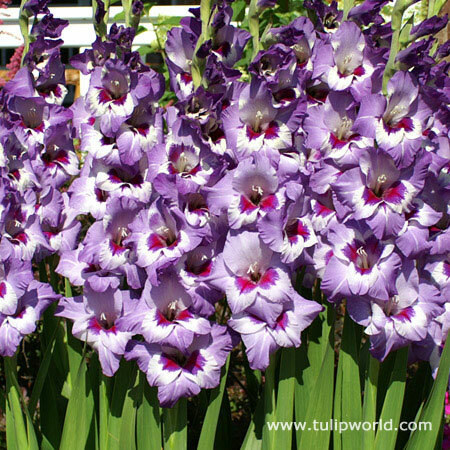 These American Hybrid Gladioli are sure to impress and have your neighbors asking "What IS that?" Ready for an amazing new variety? The 'Vista' will blow you away with it's tri-colored petals of light purple, dark purple, and white! These flowers are great for cutting and will NOT disappoint! Symbolize beauty, moral integrity, faithfulness. Birth month flower for August! Used for 40th Wedding Anniversaries.